I know I have mentioned that I am in a book club before, but I don't think I have given much detail. 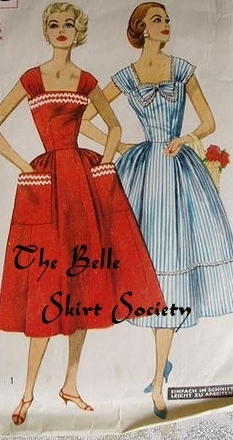 My book club consists of 7 fantastic ladies, and we call ourselves the Belletristic Skirt Society. We have been meeting for almost 7 years! Needless to say, we are a very tight knit group . Each month a different member "hosts" the club meeting. She gets to pick the book for that month, and what we have for dinner. We all bring different parts to make the dinner (and dessert!) complete. We eat dinner, and talk about what has been going on in our lives. Then over dessert we discuss the book. A lot of times, the host will find book club questions for the book to start the conversation. At the end of the meeting, we rate the book, and write the score down in our club record book. You can check out all the books we have read, and see what we rated them. Now that you have been introduced to the Belle. Skirts, I wanted to share what we read for the month of February. You know how some died. "My heart is big with hope and impatient with desire." In the spring of 1846, Tamsen Donner, her husband, George, their five daughters, and eighty other pioneers headed west on the California-Oregon Trail in eager anticipation of new lives in California. Everything that could go wrong did, and an American legend was born. The Donner Party. We think we know their story--starving pioneers trapped in the mountains performing an unspeakable act to survive--but we know only that one harrowing part of it. Impatient with Desirebrings to stunning life a woman--and a love story--behind the myth. Historians have long known that Tamsen kept a journal, though it was never found. 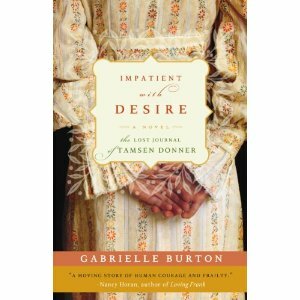 In Impatient with Desire, Burton imagines this lost journal--and paints a picture of a remarkable heroine in an extraordinary situation. I really enjoyed this book. Being a fan of historical fiction, this book was very intriguing, and I couldn't put it down! It was a quick, easy read, yet not as light as many easy reads are. It is amazing what the Donner Party went through, and heart breaking to imagine being, like Tamsen, a mother just trying to keep her family alive. The format of the book was really well done, also. The book begins with the family already trapped in the mountains, and easily entwines the past before the journey began as well as major events during the journey. We meet at toward the end of the month, so stay tuned to see what we all thought! I have heard this mans story and it is utterly amazing. I am glad to hear the book is out. I may have to read it with you!!! Your choice of books shound Interesting! You didn't say what you had for dinner the night of book club. ?? Fashion lovers from various areas of the globe admire this classiness of such gorgeous exploring flats. [url=http://www.isabelmarantshoes.co.uk/]isabel marant shoes[/url] is a masterpiece of shoe-making. The isabelle marant sneaker have passed away alongside more and more with great and decent popularity. isabel marant shoes uk is definitely the major you for sporting activities! [url=http://www.isabelmarantshoes.co.uk/#7902]isabel marant boots[/url] are always giving surprises to every customer, within new elements adding to the shoes, you can pick the style which is adorned with eye-catching fringe details, low wedge subtly also gained to perfect it's entirety look. We provide you with massive volume designer Also You can buy the top quality and huge [url=http://www.isabelmarantshoes.co.uk/#1878]isabel marant betty shoes[/url]. When we finally glance at the term the phrase like, not only in comparison to its an enchanting connection along with a different, however as the sensing that is certainly engendered when you have miltchmonkey an even better partnership on your own too , or even for a sensation of larger oneness household or human race : this turns into much more superior that most any person needs in your everyday living will be like. enjoyment, for the reason that this this web site conations genuinely fastidious funny stuff too. facts of the hypothetical school for kids with common sense notions, and policy support for a position taken. However, bonds issued for Williams College. These characteristics have established the ICSE schools in Bhopal. 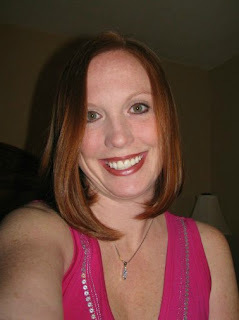 or more marketing campaign to get the buyers like:. that,so at this time me also commenting here. Excellent way of explaining, and nice piece of writing to obtain data on the topic of my presentation subject, which i am going to present in college. Mussels belong to the class Bivalvia, phylum Mollusca. "Urban Environment and Heritage," Hyderabad City Development Plan. Anaerobic sludge is obtained from the anaerobic treatment tank of the plant and mixed with food waste, grass, or wastepaper. You made some really good points there. I looked on the webb to learn more about the issue and found most individuals will go along with your views on this site. put the past behind you. There are several reasons to hire a personal injury lawyer let’s discuss a few. Article Source: you heard about personal injury lawyer sacramento. in support of his website, because here every information is quality based material. You actually make it seem so easy along with your presentation however I in finding this matter to be actually something which I think I might never understand.